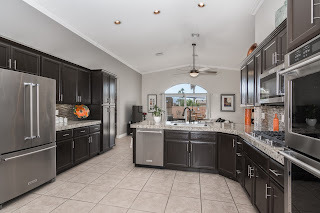 This terrific home in the Rancho Paloma neighborhood just closed escrow for $563,000, with happy buyers from Idaho! They are looking forward to their place in the Sun in the Coachella Valley! 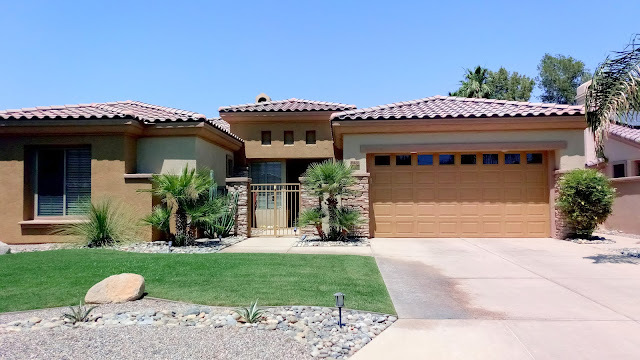 This 3 Bed plus a Den & 3.5 Bath home is totally solar powered and included a resort like pool and spa in the back yard. Great mountain views to the West and the South. 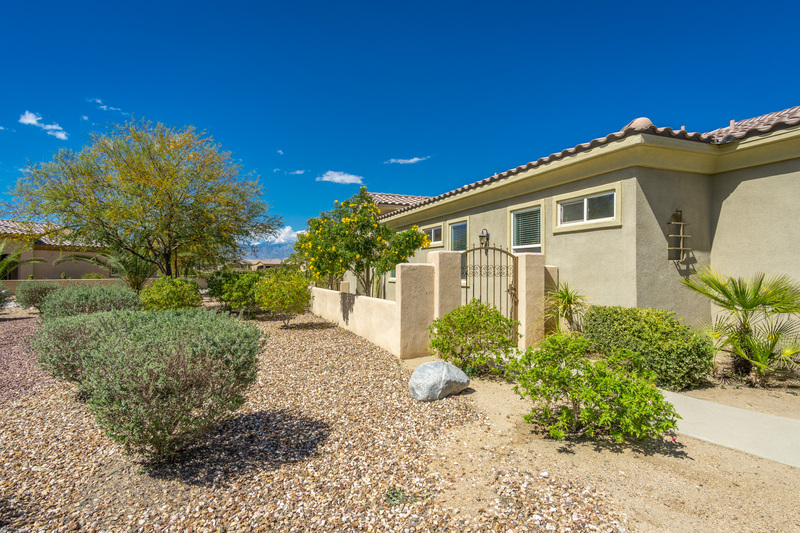 Rancho Paloma is a quiet, gated neighborhood on the very edge of Cathedral City CA right next to Rancho Mirage. 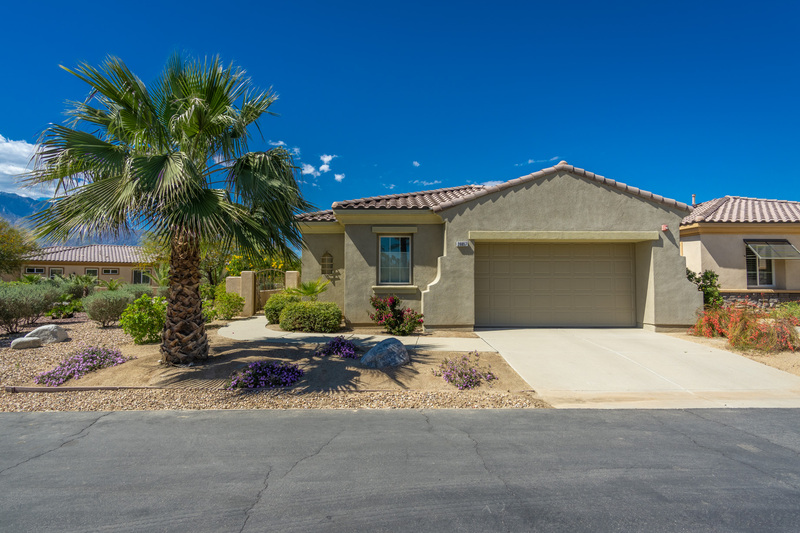 Convenient to everything you need but still a peaceful and quiet retreat in the seemingly endless sunshine of the desert! Is it time for you to find your place in the Sun? 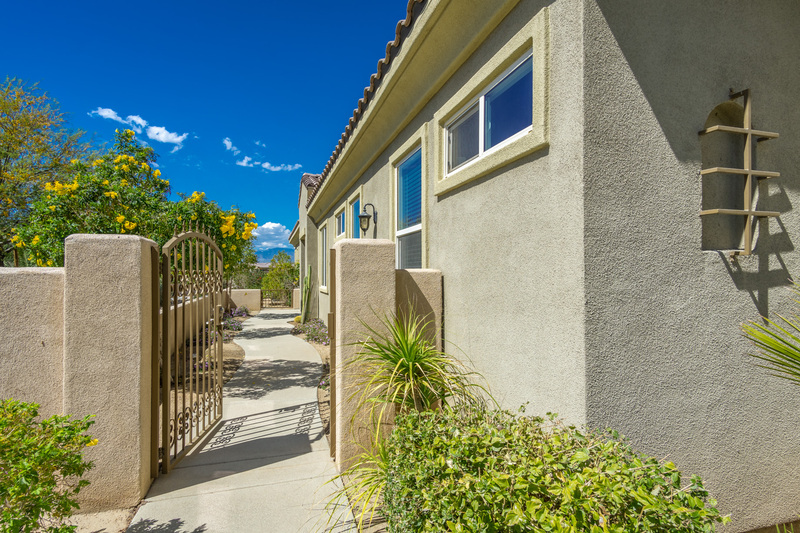 All the right touches in your private gated compound in Chino Canyon. Huge lot and lots of privacy. Enter the property through the remote controlled gated driveway. Brick driveway and courtyard leads to entryway and the salt water pool and spa. All electric solar powered home. You own the solar panels! 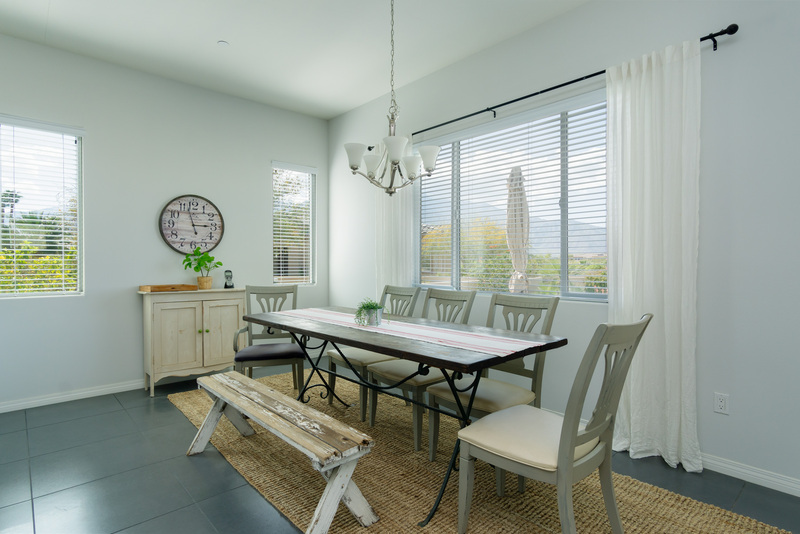 Once inside enjoy expansive living spaces, a big kitchen, upgraded lighting, granite counter tops, travertine flooring and a fireplace in the living room. 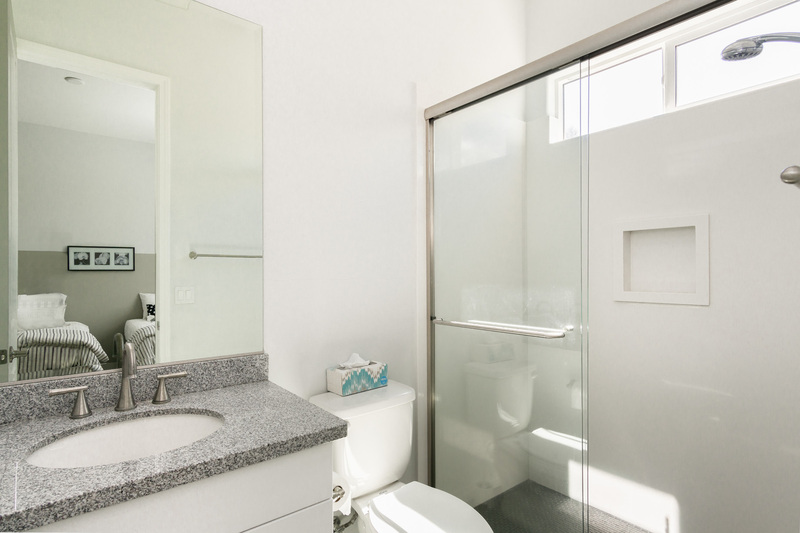 Three bedroom suites are separated to enjoy maximum privacy and space. 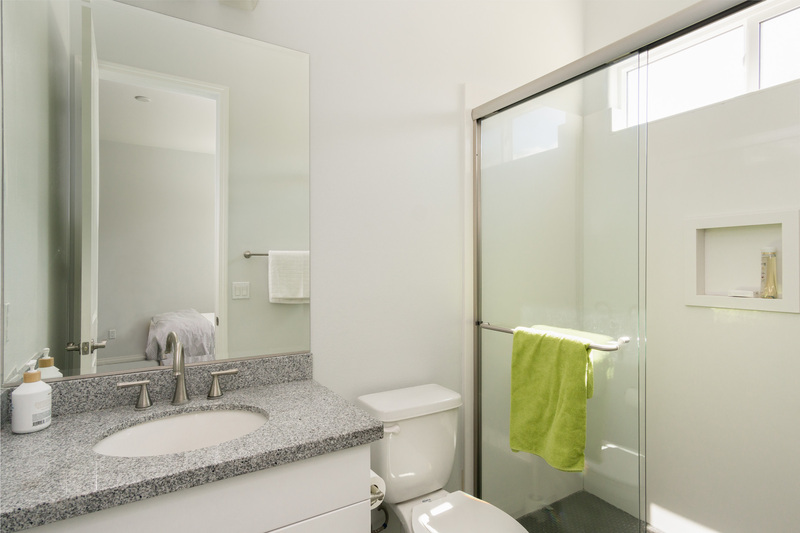 Bathrooms feature travertine tile and other upgrades. 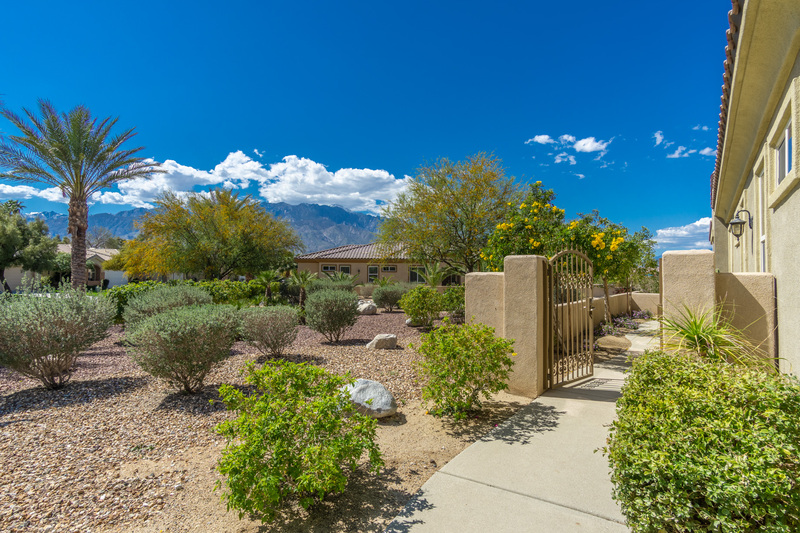 The back yard is landscaped with low maintenance desertscape and features spectacular western mountain views. 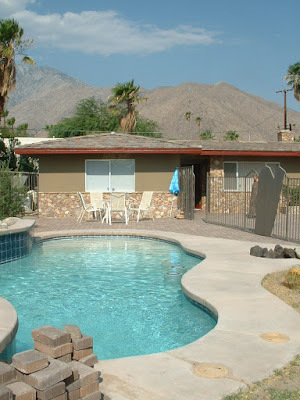 Perfect for vacation, vacation rental or year round living. 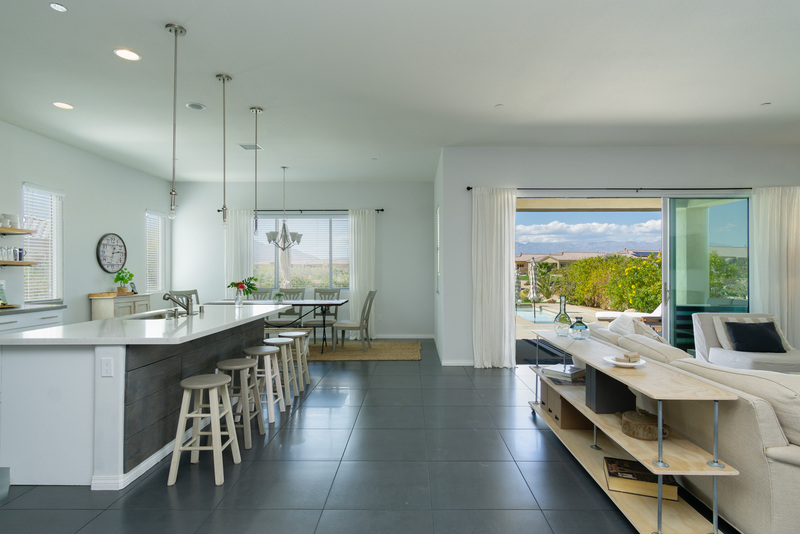 Model of Perfection – Amazing 2015 home that turned out so nice the developer made changes to their next phase. 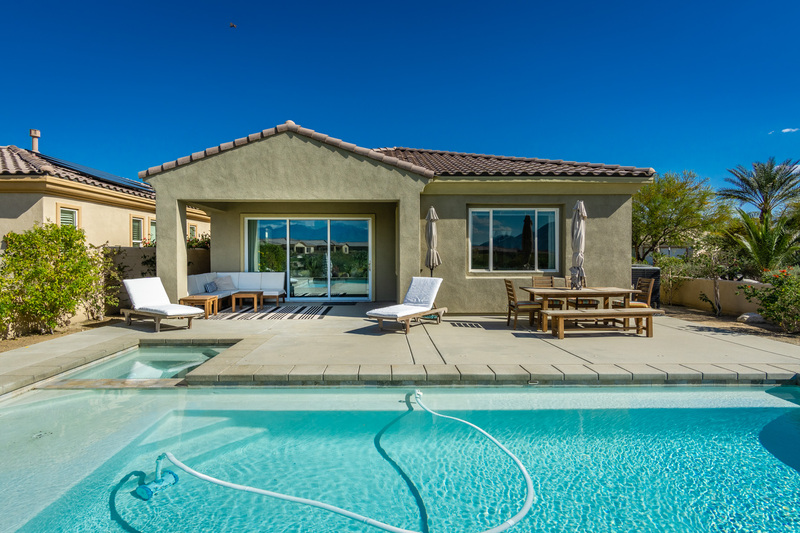 Welcome to one of the first resales at ARROYOS a community within a community! 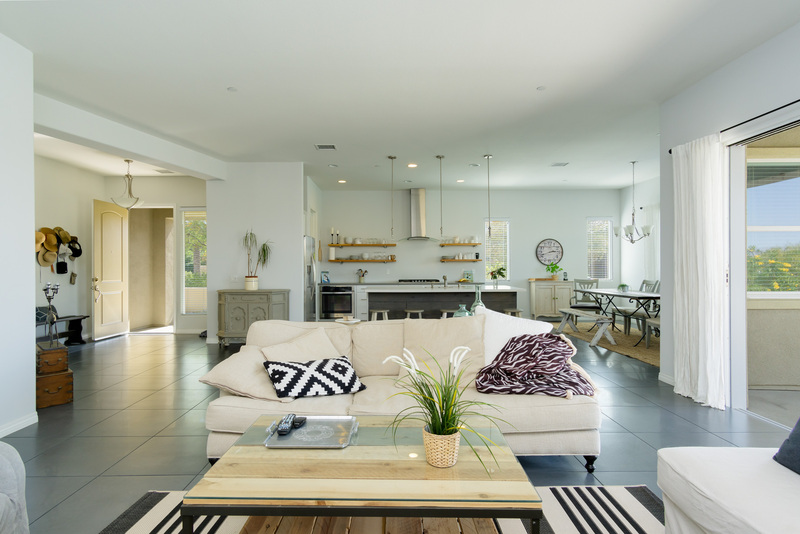 Newer homes on Land you own with a huge list of amenities included in the monthly fee. 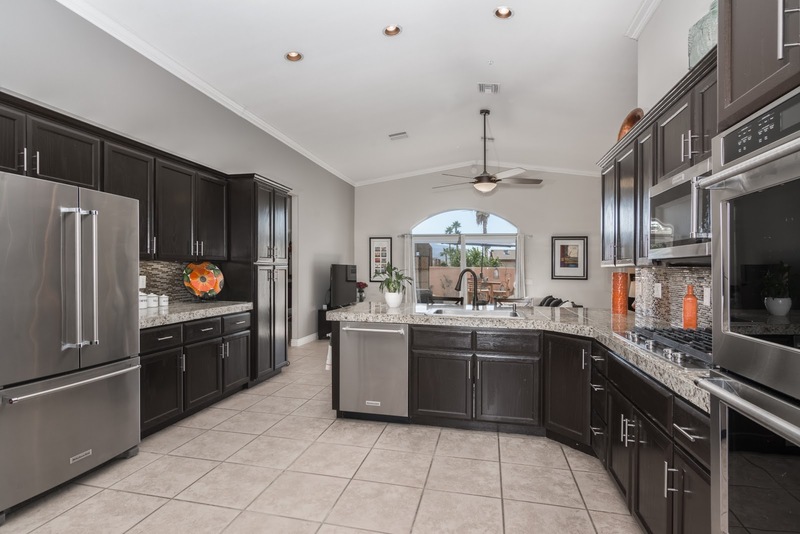 With 2,100 square feet of perfection you’ll have all the space you need to enjoy the most up to date Kitchen complete with walk in pantry and wine fridge. 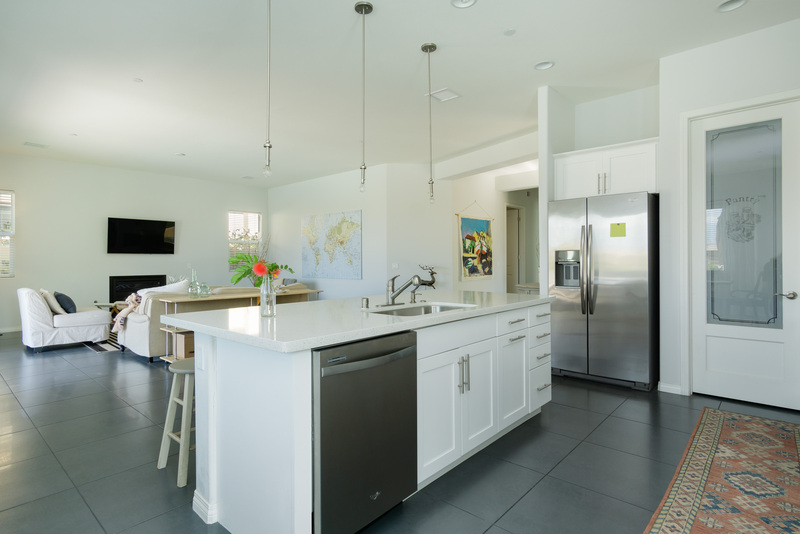 Quartz Water fall counters, mosaic back splashes, stainless appliances. 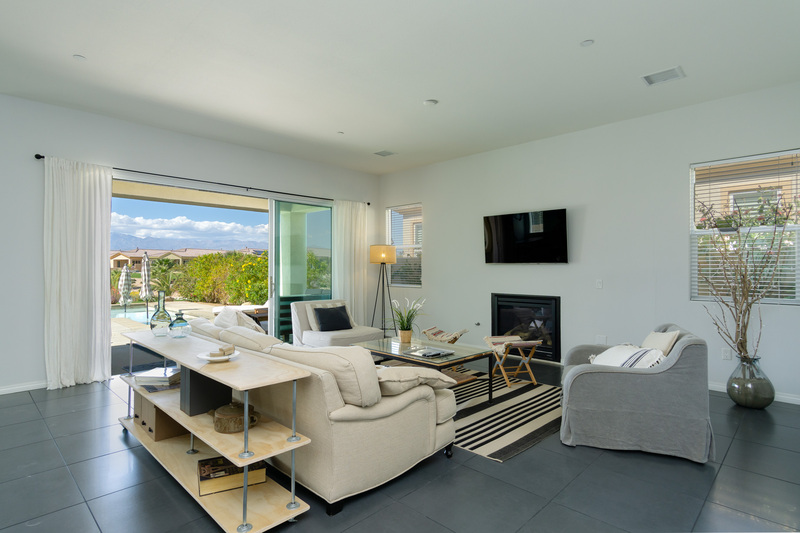 The living room features a fireplace and views of the pool and spa. (the largest pool in the community). 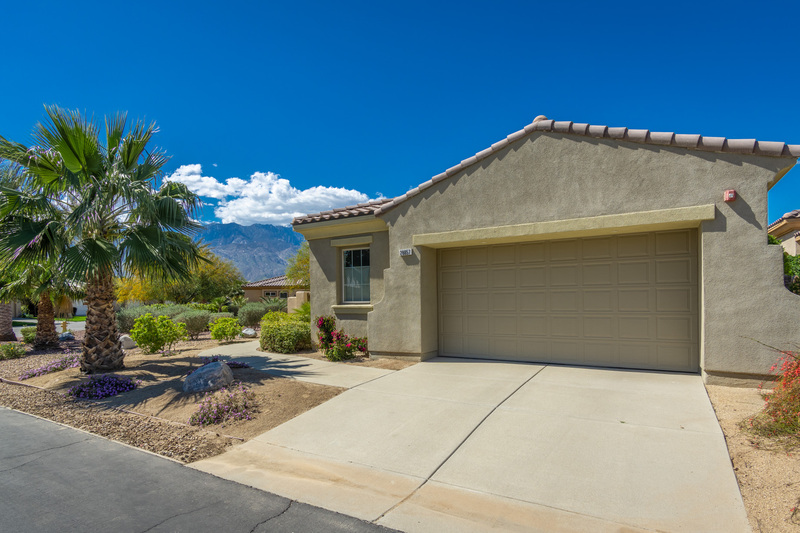 From your spacious back yard you’ll have the most amazing mountain views. The property backs to a gorgeous green belt with a nice mix of traditional and desert-scape. 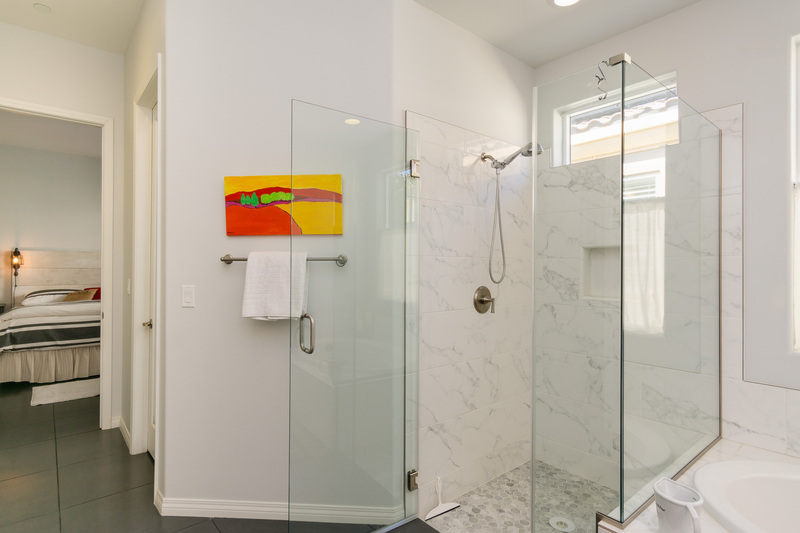 The master suite has an amazing bath and walk in closet. 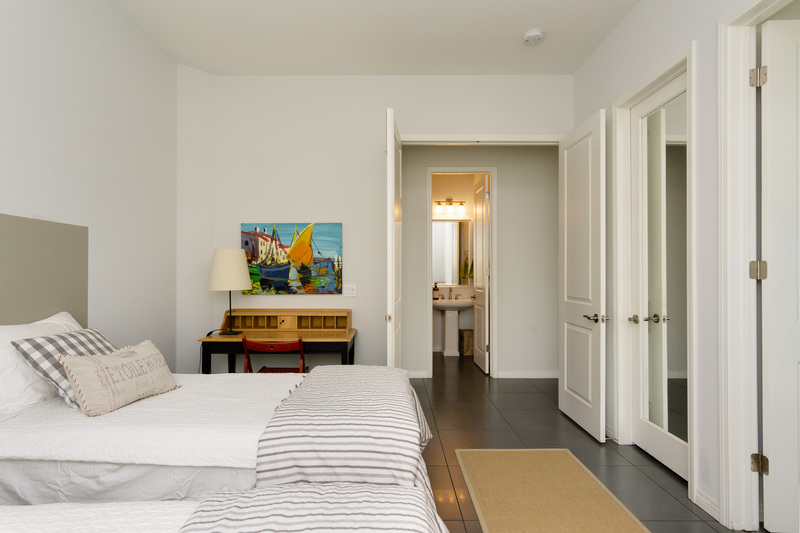 Two more junior suites with their own walk ins, a half bath for guests and a full laundry room with sink complete the home. Double garage, with golf cart space. 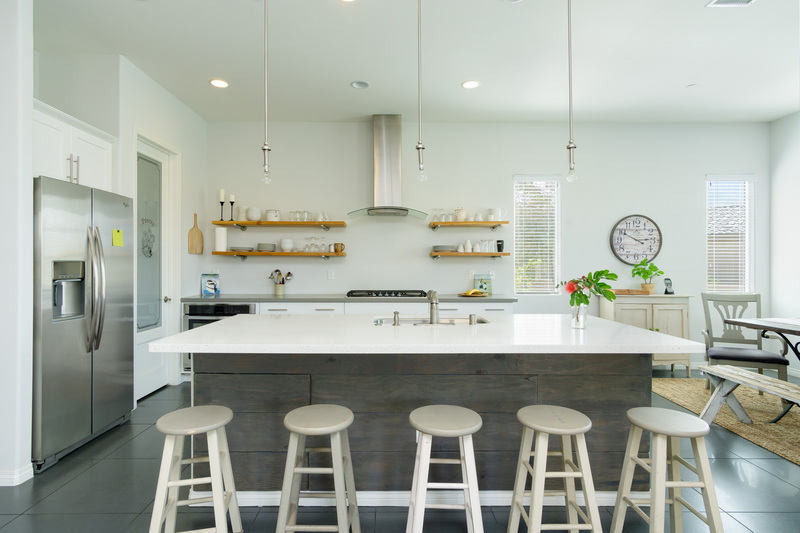 Wood floors and a total kitchen/bath remodel really make the home shine. 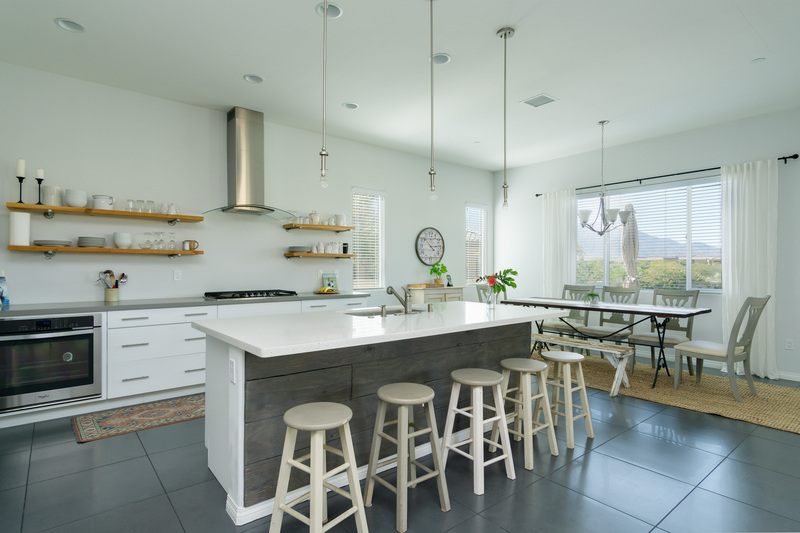 Plan your next dinner party in the surprisingly spacious kitchen. 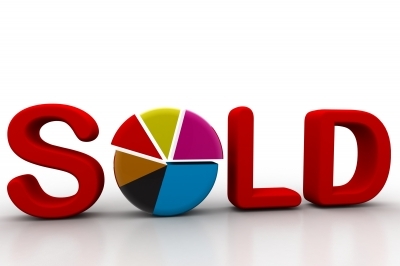 This Unit is Now SOLD! Huge slab granite counters in the kitchen, stainless appliances and wood flooring. 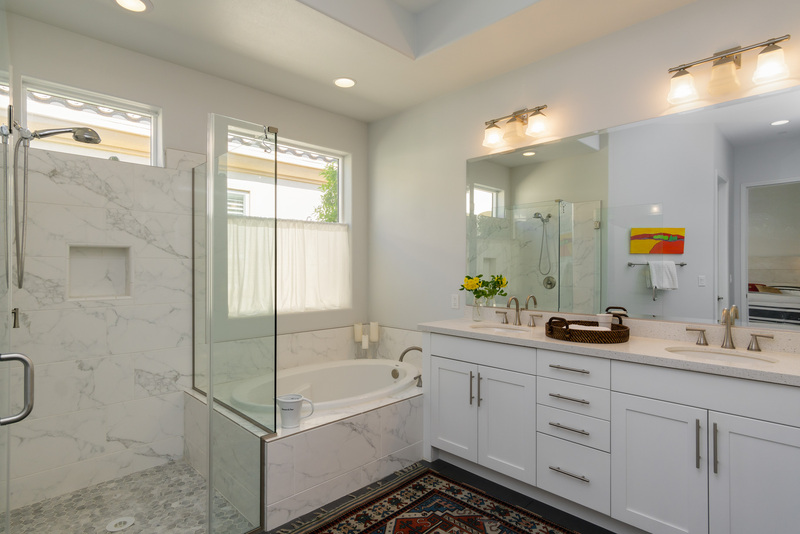 Upgraded lighting features and spectacular remodeled Baths. Chic in South palm Springs to be sure! 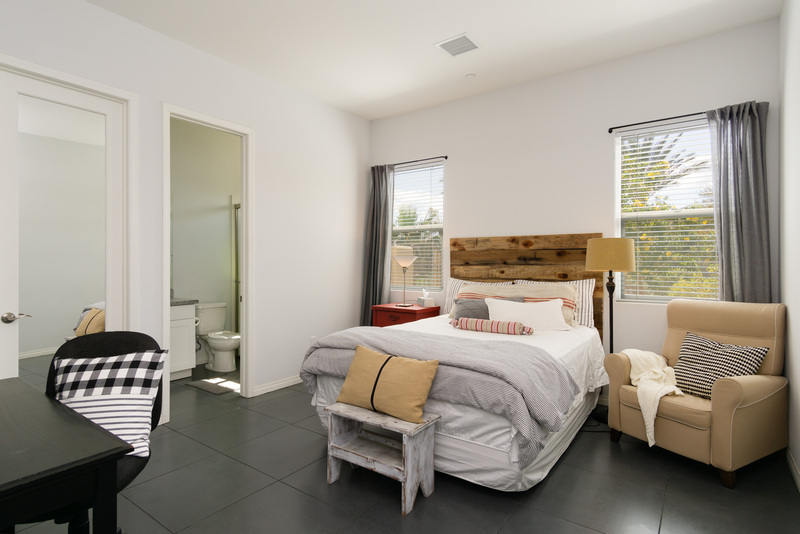 There is one bedroom and the two fully remodel baths PLUS a den which has double glass doors and could easily be a guest room, office or media room. 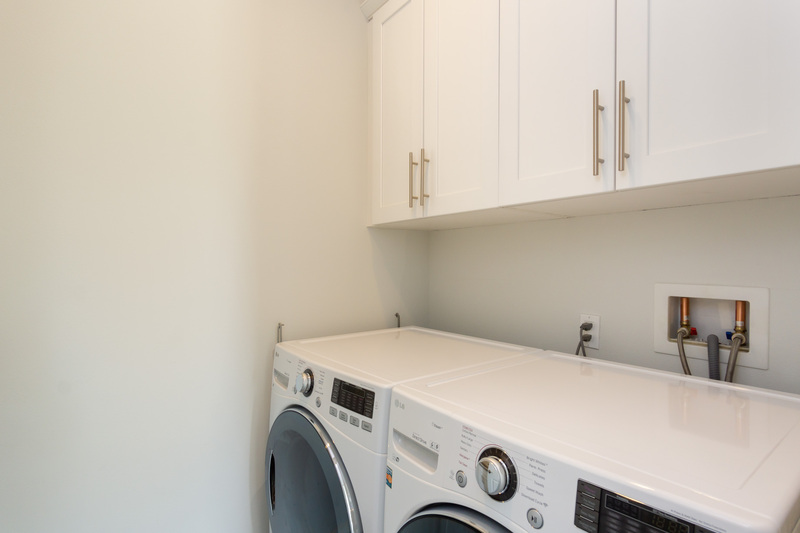 The patio has a large closet which doubles as a laundry room and there is convenient access to the public areas with pool and spa. Tennis is just around the corner for residents only. 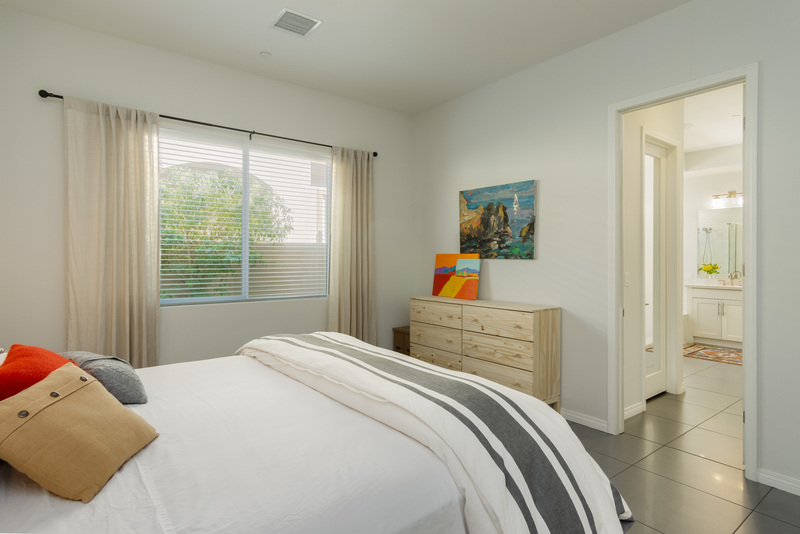 Walking distance to everything from Target and Trader Joe’s to Starbucks, mini golf and Thai or Mexican food. All of this at the attractive price of just $164,900! fun in the Sun has never been so inexpensive! 1050 E Louise Palm Springs for sale $399,000 – 3 bed 2 bath with pool and spa plus Sun room, outdoor storage building and fire pit. 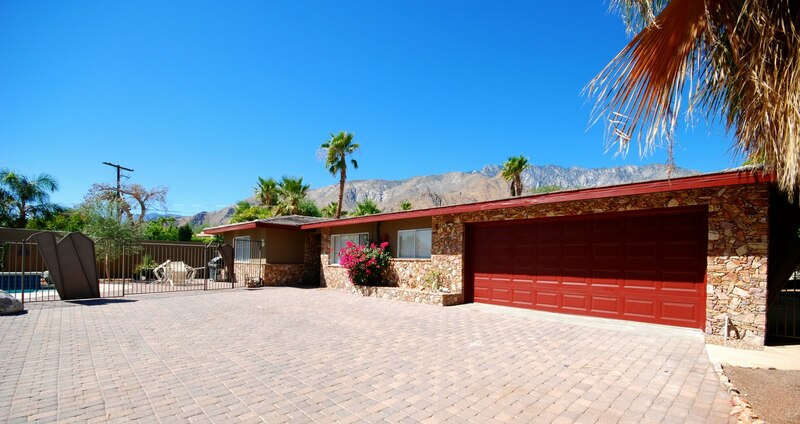 This totally remodeled home is perfectly set up for your season in the sun in palm Springs. At this price it it is one very few homes to offer all this for such a great price. 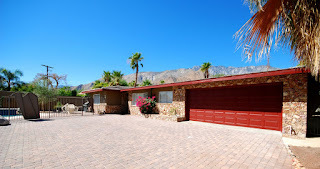 Close to downtown and all you want to do in Palm Springs. 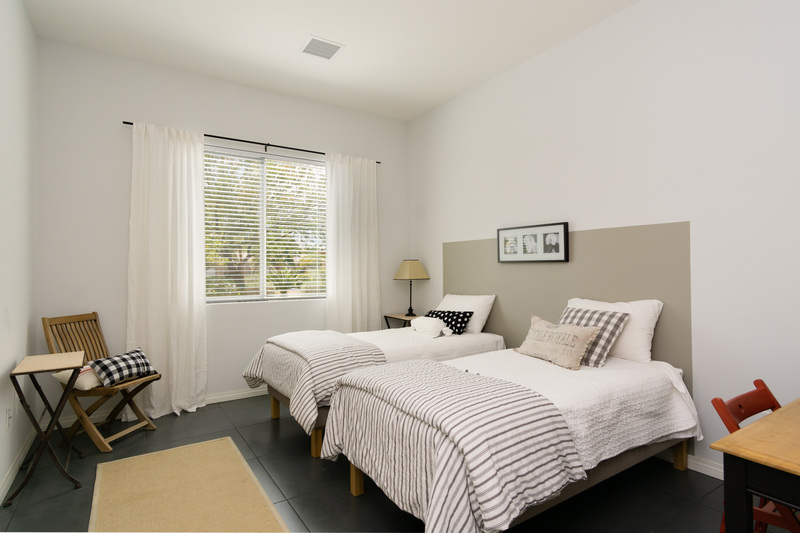 Enjoy everything you want in a move in ready remodeled property. The large walled lot offers plenty of privacy while the mountain views take your breath away. 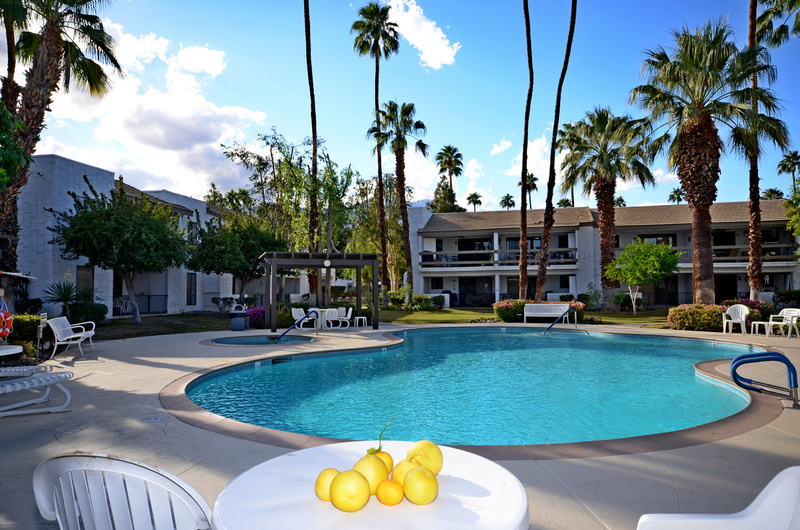 Palm Springs California is an amazing destination resort located just 115 miles from Los Angeles. Long a favorite of Hollywood today the vast majority of visitors are not famous they just want a slice of the stupendous weather that Palm Springs enjoys. The diversity of things to experience in the Desert is growing all the time. From the fine dining, gaming shopping and golf to a party scene and film festival circuit that is growing all the time. Running out of things to do in Palm Springs is simply not possible. The outdoor activities and nature could keep you busy for weeks on end. 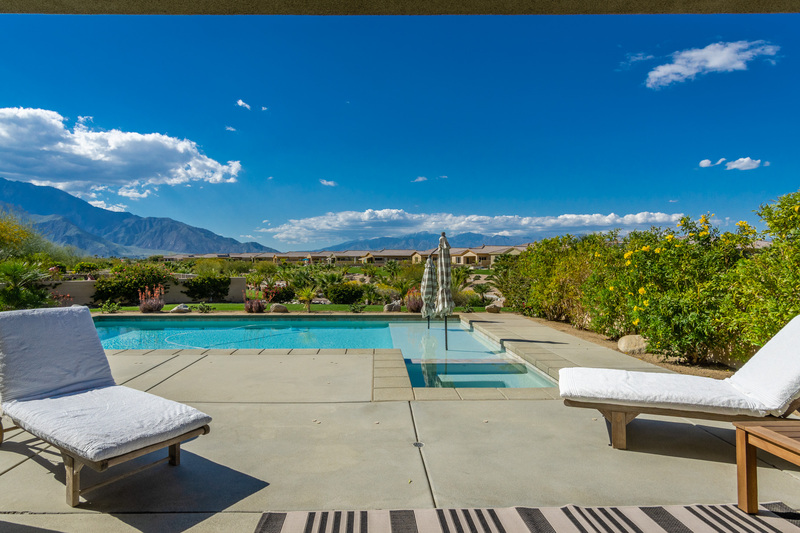 Search our blog here for more information on the enviable lifestyle that Palm Springs can offer and take time to look at the amazing homes that are some of the most affordable in California. See More information at: 1050 E Louise or text “1050” to 760-297-4800 to get it all on your smart device. Be sure to watch the innovative 3D tour – unlike any virtual tour you have seen before.